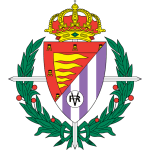 Levante vs Real Valladolid predictions for this Sunday’s game in Spain’s La Liga as both sides target their first wins of 2019. Read on for our free betting tips and predictions. This is also the kind of game where Levante do tend to struggle. They are a counter-attacking side, more suited to playing against opponents that bring the game to them. That won’t be the case here against a cautious Valladolid outfit. Levante’s fans will expect them to dictate the play, something they aren’t too good at it, which largely explains why they have just a 33% home win ratio this term in La Liga. The visitors do have a couple of significant absentees due to suspension here but overall they do look capable of getting a result with Levante having won just 1 of their last 9 league games. Backing Valladolid Double Chance could therefore be worth considering. Levante are winless in their last five LaLiga games (D2 L3), and if they don’t win this match it will be their worst run without a win under Paco Lopez (six games). After winning four consecutive games between September and October, Valladolid have only won one of their last 10 LaLiga matches (D4 L5) – 1-2 at Anoeta in December. 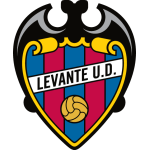 Levante have conceded the most goals from inside the box in LaLiga this season (32). Valladolid have scored 12 goals from inside the box in LaLiga this season, fewer than any other side in the competition. Since his return to LaLiga last season, José Luis Morales is the only Levante player with double figures for goals (16) and assists (10) in the competition. Ruben Alcaraz is the only Valladolid player to have scored two direct free-kick goals in the same LaLiga season since at least 2003/04. Levante’s Oier Olazabal is the goalkeeper with the most saves in LaLiga this season (89), while Valladolid’s Jordi Masip is fourth in this ranking (68). Valladolid’s Sergio Gonzalez is unbeaten in his five managerial games against Levante in all competitions (W2 D3).